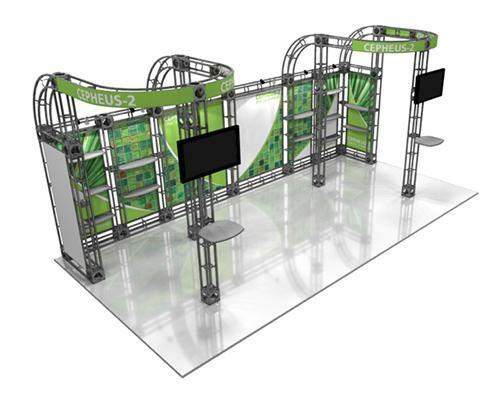 Elegant 10×10 Truss Displays Systems! 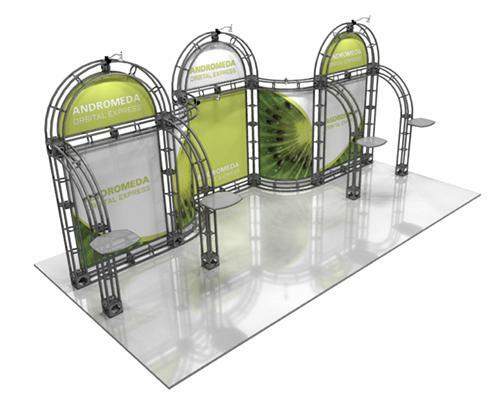 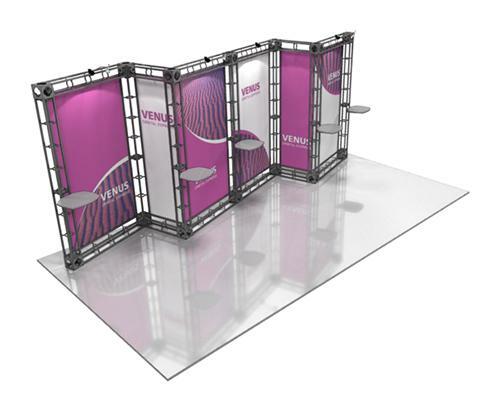 Our 10×10 truss display systems are superb booths-style package designed to get your firm or product noticed. 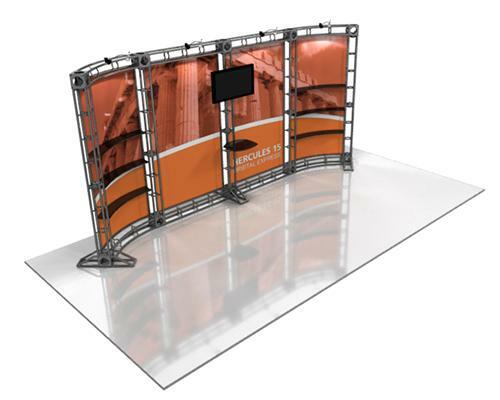 A wide variety of graphics and features can be utilized to customize your display and get your company noticed. 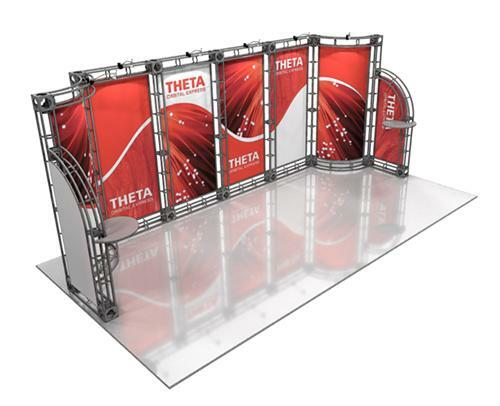 Bold colors and innovative details are recommended to make your truss display system more elegant and put you over the top with available in Inkjet and Dye-sub fabrics. 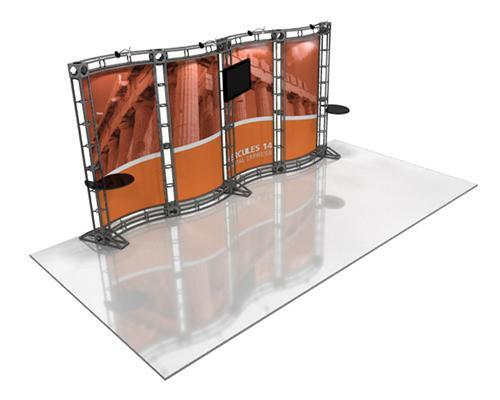 Call our team for a consultation. 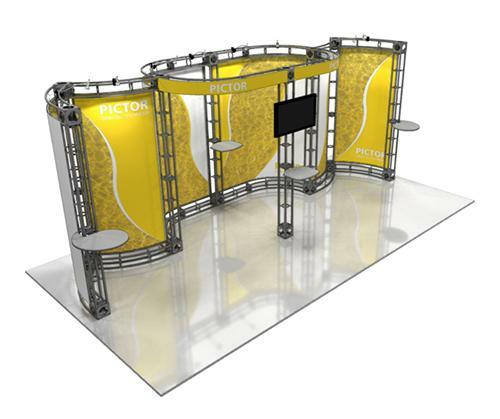 Click on the images to get more info and also purchase online. 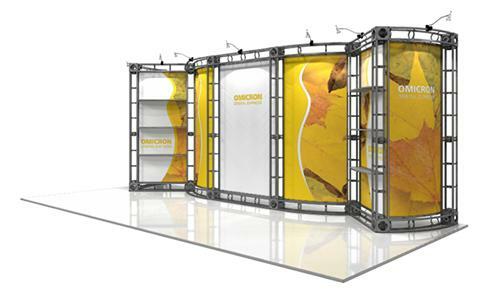 Additional options available separately. 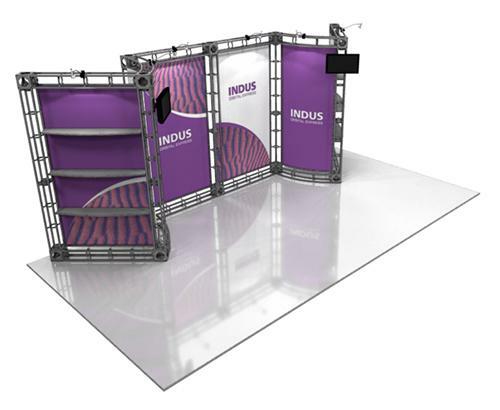 These displays are also referred as 3×3 displays or 3×4 m in other countries but here in the US they go by 10′, 10 x 10ft and 10 x 20 ft. 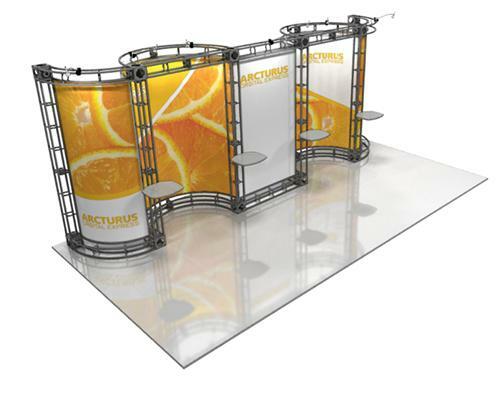 Most of our truss displays are tool less systems and make it a lot easier for our clients to install and dismantle on their own without the need of an I&D firm. 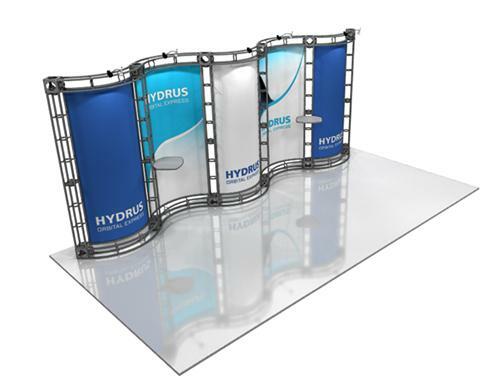 Please contact your representative and ask about our tool less truss systems for your next show. 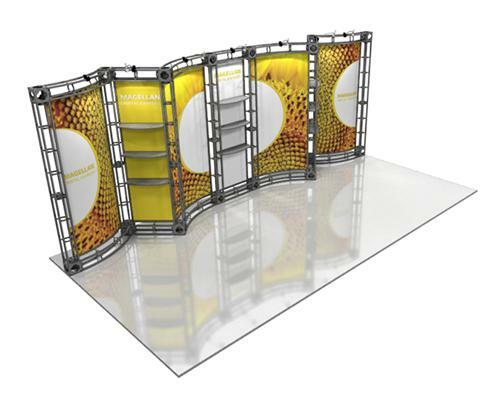 These systems come with many options to choose from including but not limited to LED lights, shelves, brochure holders, TV mounts and more. 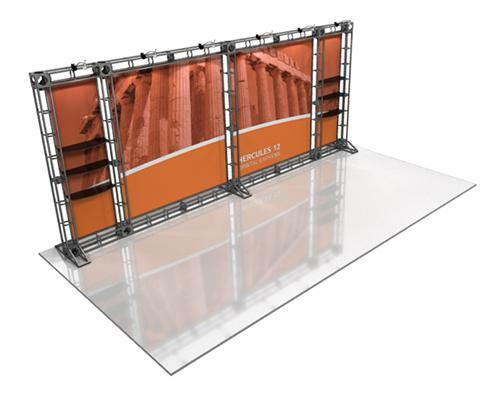 These system are reconfigurable from 10×10 to 10×20 and 20×20. 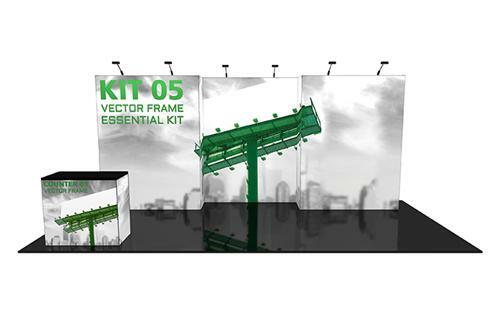 Most of our displays including 10×10 trade displays rental are available for immediate delivery.